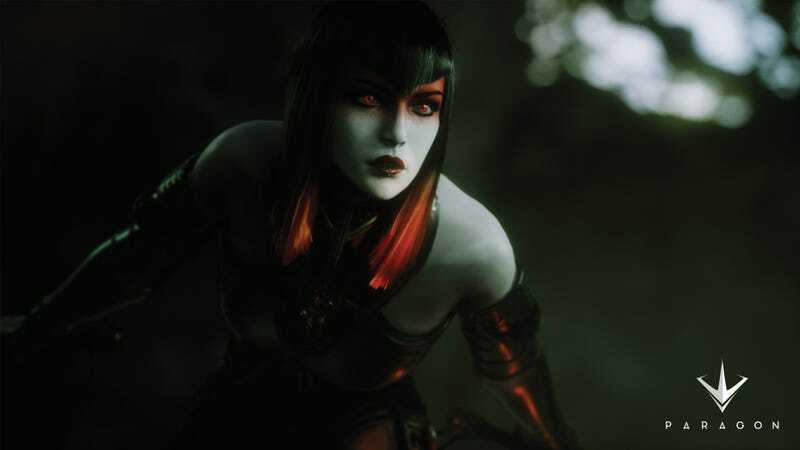 The latest hero to join the roster of Epic Games’ PC and PS4 MOBA is Rayne, hero of vampire hack and slash action series BloodRayne, only here they call her The Countess and she has mostly black hair. Coming to Paragon on October 25, the Countess Rayne blinks in and out of battle, twirling her twin blades, slowing her enemies, engulfing them in darkness and draining their health. Here’s a rundown of her special skills. Blade Siphon - Countess quickly spins her blades around her, causing damage in a circle around her. Passive: Countess regains a percent of her max health every time she kills an enemy, with bonus health for a Hero kill. Shadow Slip - Countess targets a nearby enemy and blinks to it, dealing damage and applying a slow. If the target is a minion, it is executed. Reactivate to return to the original position. Dark Tide - Countess sends out a roiling cloud of darkness in front of her, dealing damage to all enemies in the area of effect. Feast - Countess jumps to a nearby enemy Hero, forcing them to look at her and stunning them before dealing a massive burst of damage. Countess is locked down for the duration of the attack. 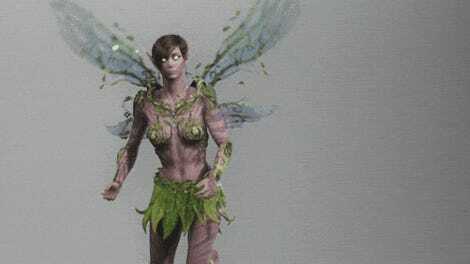 I know it’s not really Rayne, and Paragon’s mix of fantasy and sci-fi elements opens it up to all sorts of characters, but to me The Countesss will always be Rayne. Also we need a new BloodRayne game. That is all.